Covering an entire city block, this building was originally built as a field artillery armory for the Washington National Guard in 1938. The site selected was across the street from the city’s Civic Ballfield and Civic Auditorium complex constructed some ten years earlier. It was diagonally adjacent to Mercer Playground, which was developed in 1910 and named for Seattle pioneer Thomas Mercer, who homesteaded in the vicinity. Mercer Playground, which also covered an entire city block, served both the surrounding residential neighborhood and the 1902 Warren Avenue School located across the street to the west. After eight years of lobbying and fundraising attempts for a new National Guard Armory building, final approval was given for a block-square facility, which would be built on land donated by the city. The new building would house the 146th Regiment of Field Artillery, the 66th Field Artillery Brigade, and the Washington Headquarters of the 41st Division of the National Guard. Other units would continue to use the Old Western Avenue Armory located north of the Pike Place Market. 55% of the funds for construction came from the state while the remaining 45% came from a Public Works Administration grant. 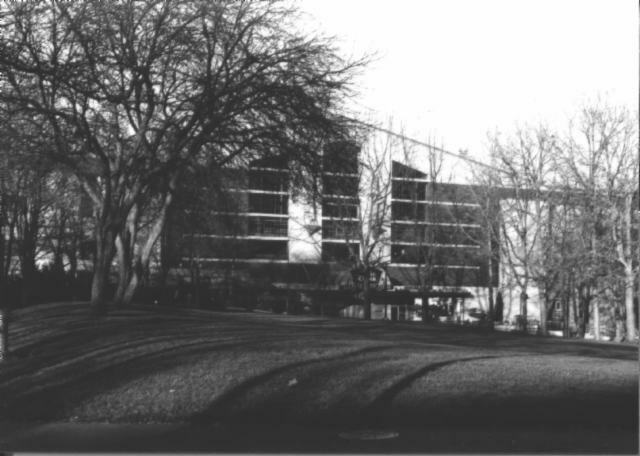 At the time of it construction, the building was touted as being the most modern of its kind in the United States, making outstanding use of poured in place concrete with plywood forms for a variety of architectural façade effects as well as for strength. The architects for the project, Floyd Naramore and Arrigo M. Young, had both established successful practices in Seattle. Their work on institutional and large scale projects provided them with the experience and expertise required to design a huge structure, such as the Armory, and successfully integrate it into the surrounding residential neighborhood. Although the building was physically dominating, the massive character was toned down with vertical and horizontal elements, various textures, and warm colored brick infill of the reinforced concrete frame. Born in Illinois in 1879, Floyd A. Naramore studied engineering at the University of Wisconsin and architecture at the Massachusetts Institute of Technology. Early in his career, he worked on the design and construction of bridges before becoming the Architect and Superintendent of Properties for the Portland (Oregon) school system in 1912. Impressed by both his design work and ability to control costs, the Seattle School Board hired Naramore in 1919 to succeed Edgar Blair as the architect for the Seattle School District. After the state’s passage of a compulsory attendance law, the district had been faced with a need for many new school buildings to accommodate the growing enrollment. With the onset of the Depression in the early 1930s, school construction largely ceased, forcing Naramore to resign in 1932. He then practiced in partnership with a number of other prominent Seattle architects before forming Naramore, Bain, Brady & Johanson (now known as NBBJ) in the early 1940s. Previously, Arrigo M. Young had practiced in the Schack, Young and Myers partnership (1920-1929), one of Seattle’s most successful design firms of the 1920s. This partnership produced a number of commercial, residential, religious and institutional buildings as well as several projects of a larger scale. In association with John R. Nevins, the firm was commissioned for the 1922-23 initial building development of the model city of Longview, a project for the Long-Bell Lumber Company of Kansas City. The 1925-28 Civic Auditorium complex of three buildings and a sports stadium was a notable example of the firm’s late work. After David J. Myers departure in 1929, Young and James H. Schack continued the practice until Schack’s untimely death in 1933. Originally educated as a structural engineer,Young later obtained an architectural license and practiced architecture and engineering independently before forming a partnership with Stephen H. Richardson in 1941. 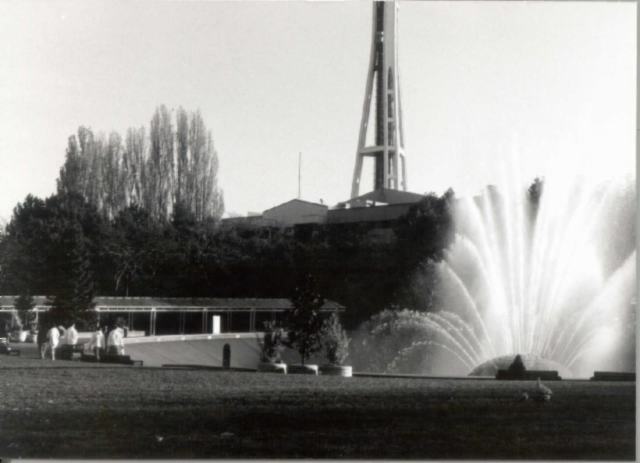 In the mid-1950s, property in the vicinity of the Civic Auditorium was selected as the site of the 1962 Seattle World’s Fair Century 21 Exposition. 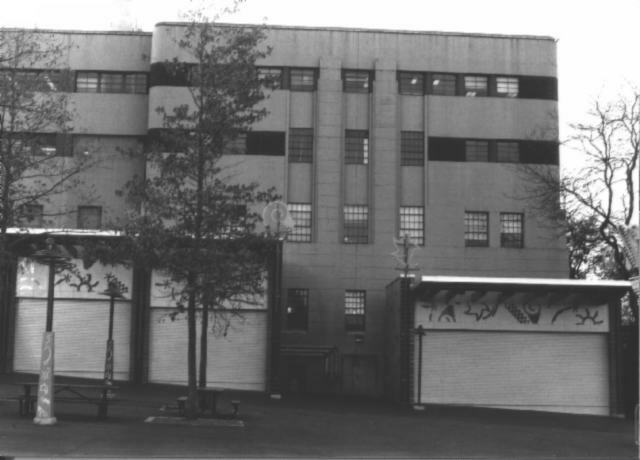 This existing building was near the center of the 74-acre site developed for the fair grounds. Unlike most other buildings on the site, this building was retained and converted for use as the Food Circus, where food from around the world would be served by 52 concessions. Nine of the concessionaires presented exhibits in addition to selling food, and national specialty shops sold products from their respective countries. While the exterior was left mostly unchanged, changes were made to the interior, including the addition of new lighting, concession booths, seating areas, and banners draped to hide the ceiling. Durham, Anderson & Freed prepared the plans for the conversion of the armory to the Food Circus. During the fair, Van De Kamp’s Holland Dutch Bakers of Seattle created a massive layer cake for the Food Circus, which was 23 feet high with a circumference of 60 feet and a weight of 25,000 pounds. 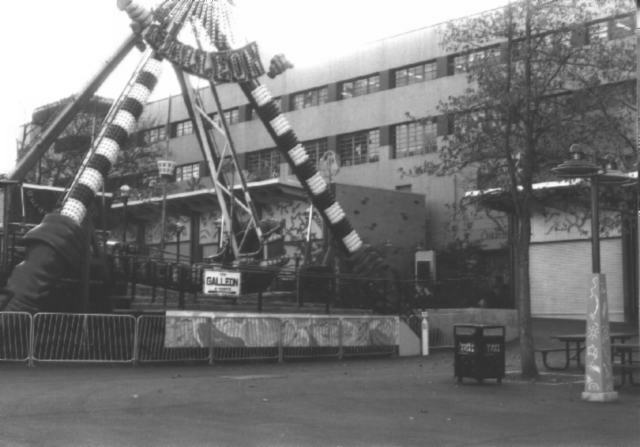 After the conclusion of the fair in October 1962, the building remained the Food Circus for the new Seattle Center under a lease agreement with the state. The Bubbleator, an elevator in the form of a large clear plastic bubble, was relocated from the Coliseum to the Food Circus. For many years afterwards, it ferried visitors between the basement, main floor and mezzanine before its removal in a 1980 renovation project. In the early 1970s, the city acquired the building from the state. 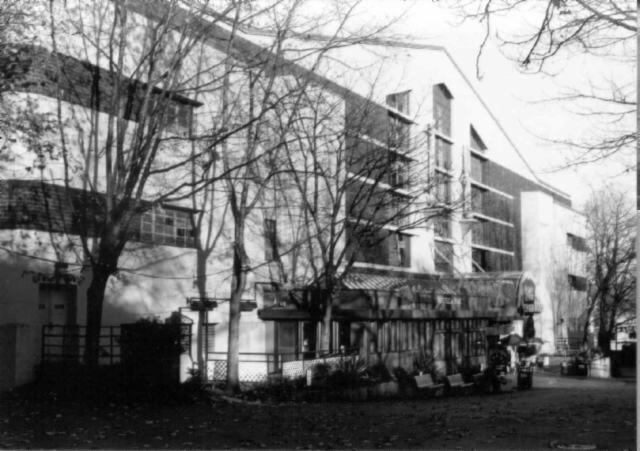 Over the years, the building also housed a variety of tenants, including the Group Theatre and the Children’s Museum. 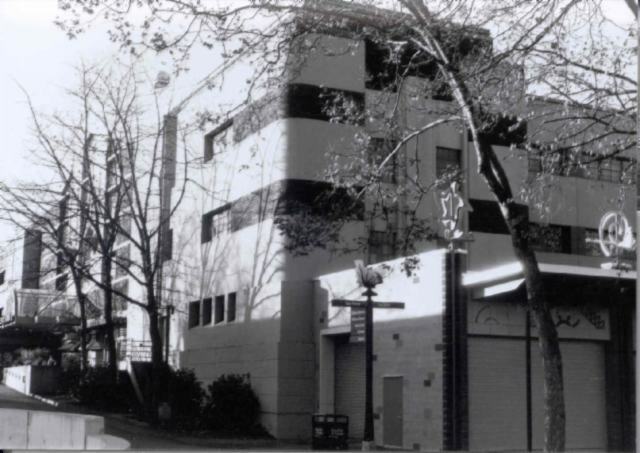 The Children’s Museum first moved into the first floor of the building in October 1985. 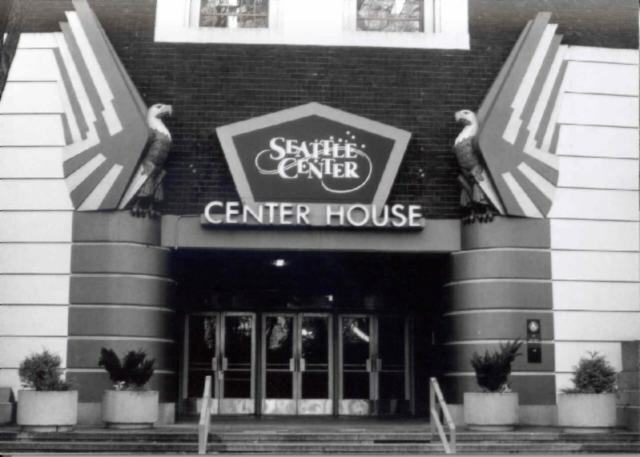 Ten years later, the museum grew from 12,000 to 32,000 square feet in a $4.15 million expansion as part of a substantial renovation of the building, which was renamed the Center House. With its Streamline Moderne stylistic features, the Center House is significant for its design and for being an outstanding work by two prominent architects. It is also significant for its associations with the history of the military in Washington State, the Seattle World’s Fair Century 21 Exposition, and the development of the Seattle Center. 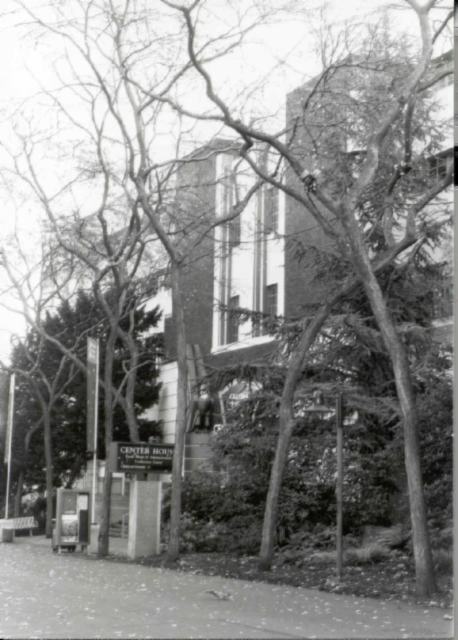 When this large brick and reinforced concrete structure was completed in 1938, it occupied a full city block bounded by Harrison and Thomas Streets and 3rd and Nob Hill Avenues North. The four-story structure has a rectangular plan, which measures approximately 247 feet by 338 feet, providing a covered floor area of seven acres. On the east and west elevations, projecting end bays flank a long recessed center bay. The wider northern bays have a length of 76 feet, while the narrower southern bays have a length of 39 feet. The building’s Streamline Moderne stylistic details include a smooth concrete exterior with rounded corners, a strong horizontal emphasis with banded surfaces and windows, and entrances with curved walls. The structure’s flat roof contains a large gabled penthouse aligned along the south elevation and supported by exposed steel trusses on the interior. 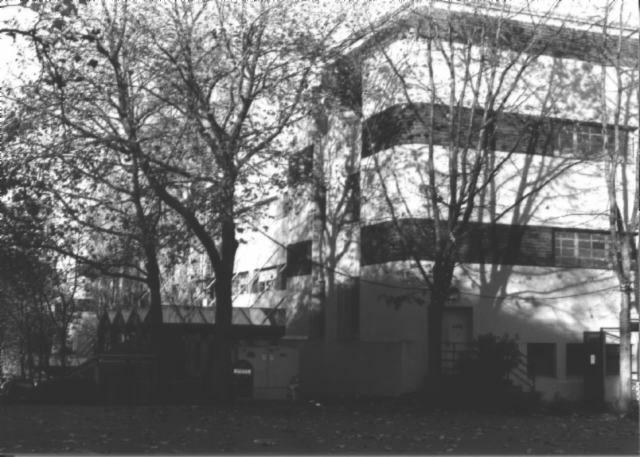 A difference in elevation of 35 feet between the east and west elevations of the building allows for grade level entrances to different floors. Due to this elevation difference, a banded concrete base extends along the east elevation to the second-story level and continues onto the north and south elevations and across the entrance bays. Broad bands of dark, hard-burned brick set on edge wrap the building and connect the industrial metal sash windows on the second, third and fourth floor levels. Single and paired fluted piers with recessed spandrels break up the solid mass of the building and provide vertical emphasis at the four corners of the building with the exception of the south elevation. On the principal north elevation, the center projecting entrance bay has two monumental brick towers flanking a recessed concrete panel at the second and third stories above the ground level entrance opening. Great ornamental eagles cast in concrete rest on the banded curved corners of the wide opening, which contains three pairs of double glass entrance doors. Elaborate concrete and brick piers set with curved light fixtures frame the stairs leading from the sidewalk to the entrance. Three fluted pilasters within the recessed opening create two inset panels set with multi-paned windows. The curved outer edges of the two brick towers feature the same brick and concrete banding pattern of the upper floor levels. Multi-paned windows are situated within recessed openings at the third and fourth-story levels. The wide gabled end wall of the penthouse dominates the south elevation. Wide banded concrete piers flank the center entrance bay clad with brick and trimmed with concrete. Within the center entrance bay, two wide concrete pilasters function as mullions and divide a large opening into three columns of five recessed window openings with multi-paned steel sash. Each column has narrow concrete bands separating the horizontal openings. Within the gabled end wall, the shape of the window openings mirrors the profile of the roofline. While the structure retains the majority of the original steel sash windows, some of the openings have been filled with concrete, especially on the east elevation. Modern canopies and covered walkways have been added, and a skybridge now crosses to the Monorail Terminal at the southeast corner of the building. One-story concrete block arcade buildings line much of the east elevation as well. However, the building maintains its original architectural and structural qualities and massing and retains excellent physical integrity despite the later alterations. Kreisman, Lawrence. Appendix C: Historic, Seattle Monorail Rehabilitation and Upgrading Project, 1985.